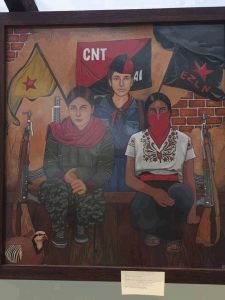 This week’s show features a conversation with Guy McGowan Steel Steward, an American anarcho-communist about his joining the Rojava Revolution alongside Kurdish and other folks in Northern Syria. 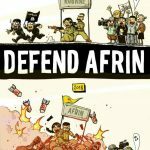 Guy was one of two American anarcho-communists featured in a recent Village Voice article entitled “A Hello To Arms” and his writings and images documenting his ongoing time in Rojava can be found at https://www.facebook.com/scenesfromrojava/ . In this episode he’ll speak about training, conscription, nationalism, other internationals and more. The second half of this conversation with Guy will show up in an upcoming radio show. Starting with this episode, we’ll be available through the iTunes store for easy podcasting under the name thefinalstrawradio, so find us there every week, rate us and tell your friends! 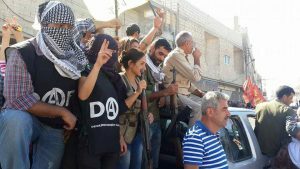 “This is a challenge to anyone who is supportive of the September 9th prisoners’ strike but who has remained on the sidelines until now. 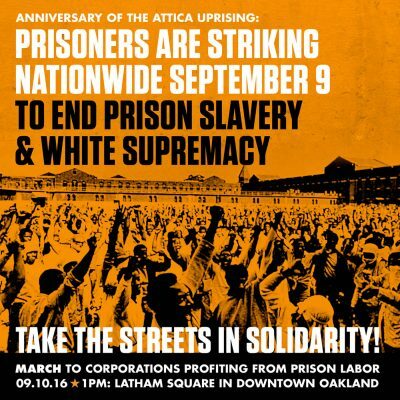 For more information about the nation wide September 9th prisoner strike, you can visit either supportprisonerresistance.net or incarceratedworkers.org for the Incarcerated Workers Organizing Committee. “Around noon eastern time on August 11th, Hasan got word out through lawyers that he was doing fine and that if anyone wanted to correspond with him they should include a stamp for the reply since he could not go to the [jpay] kiosk. You can visit https://anarchylive.noblogs.org and search “August 1st rebellion” to learn more and for suggestions on what to say to the warden when you reach him. “In a nation that would not tolerate shutting in zoo animals 23-24 hours per day the State of Wisconsin has no compunction confining prisoners to indefinite isolative Administrative Confinement (AC) alone in a parking-space size cell for 164 of the 168 hour week. Such prolonged social, environmental, and occupational isolation and lack of stimulation is well known to pose a substantial risk of harm to mental and physical health.